Cicely Tyson's Age: How Old Is Cicely Tyson? Cicely Tyson’s Age: How Old Is Cicely Tyson? How to Get Away with Murder season 4 is finally here! With the series doing so well, it couldn’t have ended already, right? Cicely Tyson from How to Get Away with Murder has a new found mental condition on the show and fans are anxious to learn more about her character. Find out more about Cicely Tyson, right here. Ophelia Harkness is Annalise’s mother on HTGAWM, and season 4 is going to be the best one yet! Although we expect the drama series and its actors to keep giving us their best, we often forget to think about their personal lives. Cicely Tyson’s age is 92, and she is still delivering her best on screen. She is definitely one of the best actresses of our time. To learn more about the first African-American actress to win a Primetime Emmy, keep reading! Cicely Tyson was born on December 18, 1924, in Harlem, New York. Her parents were immigrants from the West Indies and processed at Ellis Island when they arrived in the U.S. in 1919. Tyson was raised in Harlem, and she grew up watching her parents working all sorts of jobs so that they could make a living. It was a stroke of luck for Tyson when she was discovered by a photographer of Ebony magazine in the ‘50s and soon became a fashion model. Her first acting stint was in the movie Carib Gold in 1956 and was featured in TV and movies shortly afterwards. In 1961, Tyson was cast in the off-Broadway, non-musical The Blacks, which ran for 1,408 performances. It was the longest-running musical of the decade. There was no stopping Tyson after that. She became a household name, with many stellar performances to her credit. She was nominated for an Oscar for the movie Sounder and won Emmys for her beautiful portrayal in The Autobiography of Miss Jane Pittman. Cicely Tyson adapted to changes in the entertainment industry like a chameleon. She received the Women in Film Crystal Award in 1982 for her contributions and was also awarded the Cadence Award in 1988 from the National Coalition of 100 Black Women. 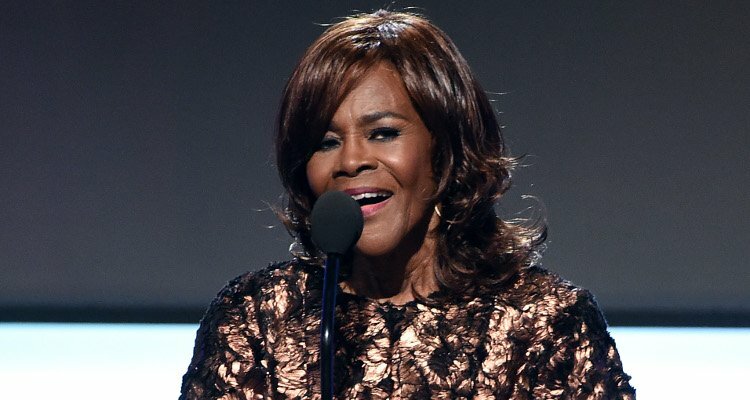 Cicely Tyson’s is mostly known for her performance in the critically-acclaimed, heart touching movie, The Help. She is also the winner of a Tony Award for her outstanding performance in The Trip to Bountiful. Is Cicely Tyson Married Now? Cicely Tyson was once married to Miles Davis, the legendary jazz musician. They tied the knot in Bill Cosby’s home in 1981, and the couple lived in Malibu, California. They divorced in 1988, and she hasn’t been married since. Miles Davis died in 1991. Also, they did not have any children together. The multiple award-winner is a part of the Delta Sigma Theta sorority and received many honorary awards, including the Presidential Medal of Freedom, which is the highest civilian honor by President Barack Obama. Cicely Tyson has appeared on the award-winning show for quite some time now. She plays the mother of protagonist Annalise Keating, a law professor. Tyson has been more than appreciated for her captivating role on the TV show, and now with the start of HTGAWM season 4, there is a lot more depth added to her character. Ophelia Harkness (Cicely Tyson) has dementia and is going to be seen as a patient after Annalise musters the funds to put her in an elite care center. It will be amazing to watch how the story unfolds, and we can’t wait for more details! How to Get Away with Murder airs on ABC, Thursdays at 10:00 p.m. EST.